Extending the camera distance between the camera lens and subject will create properly proportioned facial images and will diffuse the flash lighting when a flash is used. The Quik Pod is quick and easy to use! The Quik Pod enables you to capture self-images and the background scenery that you wish to include. The finished photos and videos will appear to have been taken with the help of another person or by a traditional tripod. Your arm will be in a comfortable position and will not appear in the photo. 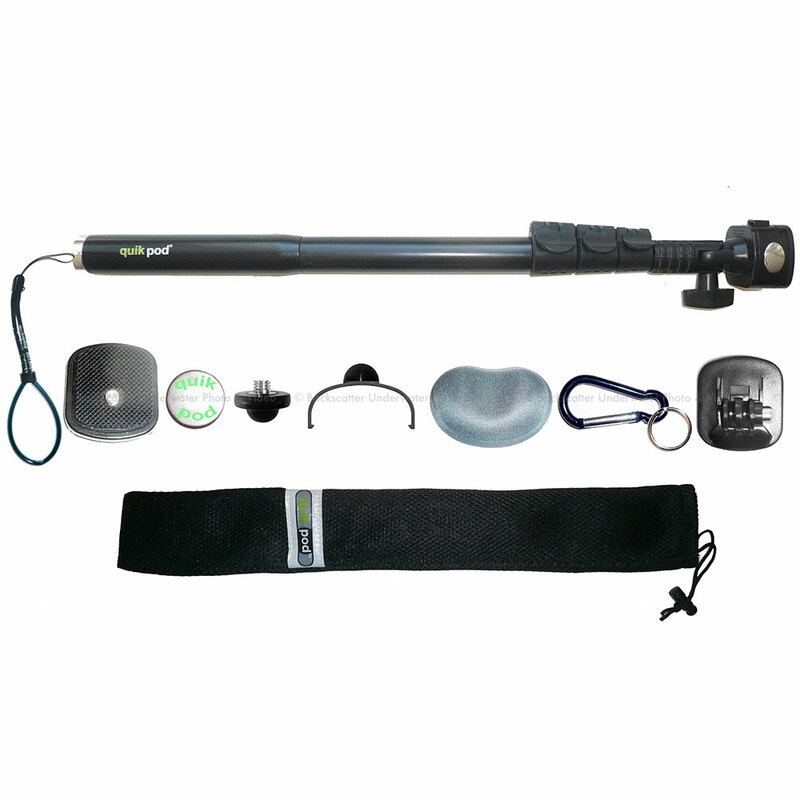 The World's #1 Monopod for GOPRO! Includes GOPRO compatible adapter, 1/4" x 20 quick release adapter, padded carry bag, waterproof wrist strap, hiking clip, camera tightening tool and mini-smartphone adapter. NOTICE: As in all sports, accidents can happen. All Quik Pods have been tested to withstand the shock of a 10 lb force with a GOPRO attached and the Quik Pod fully extended. Despite this we recommend you tether your GOPRO tightening knob to the Quik Pod tightening knob with a strong cord, wire or twist tie (www.quikpod.com/tether.pdf). Unforeseen shocks while engaged in motion can happen. We will not replace lost cameras under any circumstances as there are too many variables in the applications possible.